Its said “Give a girl the right shoe, she can conquer the world”. Are you ready to conquer the world? PartyBell.com brings you a chance to win any one of the two most desirable shoes worth $50 absolutely free. 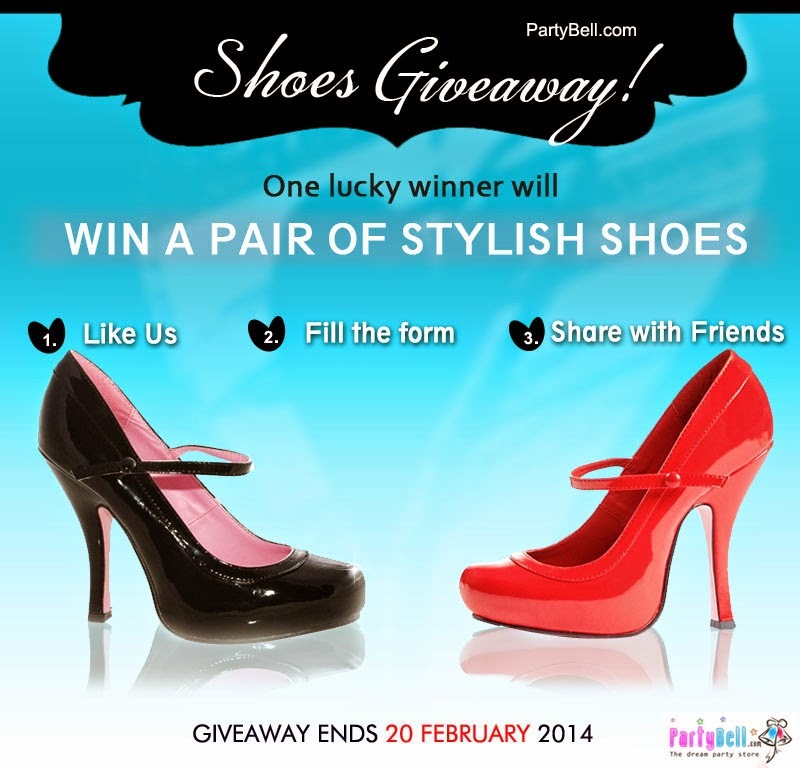 All you need to do to Enter the PartyBell.com Shoe Giveaway is LIKE the PartyBell FaceBook Page, Fill in your details. Get closer to winning by sharing the Giveaway with your friends and Earn 3 BONUS entries. Now that’s extremely simple. Isn’t it? Don’t wait ENTER NOW!